Zenobia | Take Back Halloween! Zenobia (240–274?) was the great Syrian queen of Palmyra who built a desert empire, conquered Egypt, and briefly gave the Romans a run for their money. She lost in the end, alas, and was paraded through Rome in chains—which is why “Zenobia in Chains” has been such a popular theme in art. The two Victorian paintings above are examples of the genre. 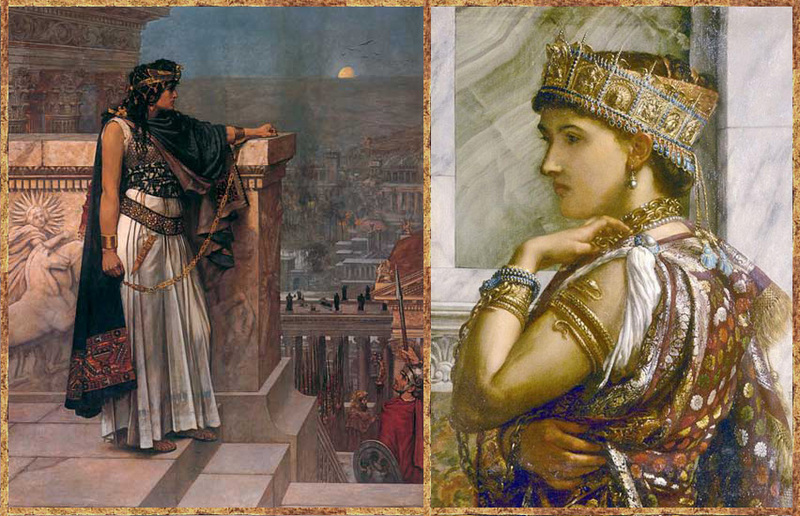 On the left, “Queen Zenobia’s Last Look Upon Palmyra” (by Herbert Schmalz) shows her in chains with a Roman soldier waiting to lead her away. In Edward Poynter’s “Zenobia Captive,” on the right, we see the chains encircling her neck as well as her wrists. The Romans were hugely impressed with Zenobia, actually, and legend tells that Emperor Aurelian thought so highly of his royal captive that he set her free. Well, maybe. Or maybe she took her own life, as her heroine Cleopatra did. No one knows for sure. 1. 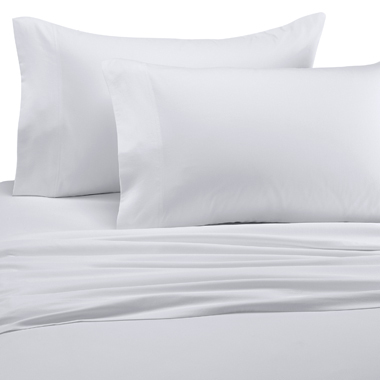 White flat sheet. This is for your tunic; we give you instructions below on how to pin it together. The size sheet depends on your height, but a full-size works for most people. 2. 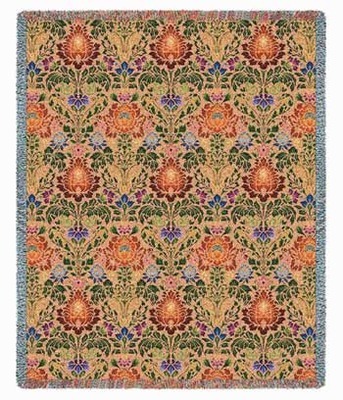 Acanthus pattern tapestry throw. This is for your over-tunic, which you’ll pin together and wear over the white tunic. All you need is a woven throw that looks like it could be an ancient pattern. The acanthus design in this tapestry is ideal, but you can use anything that doesn’t look too modern or pictorial (no kittens or Pittsburgh Steelers). You could even use the reverse of a throw, since the back of a tapestry just looks like multi-colored threads. 3. 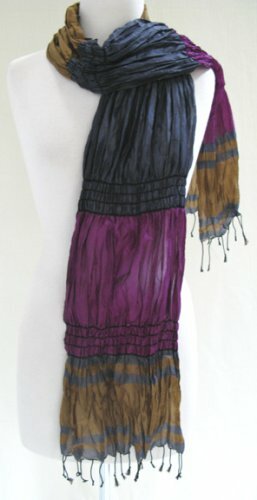 Multicolor scarf . Use this as a belt over your tapestry tunic. 4. 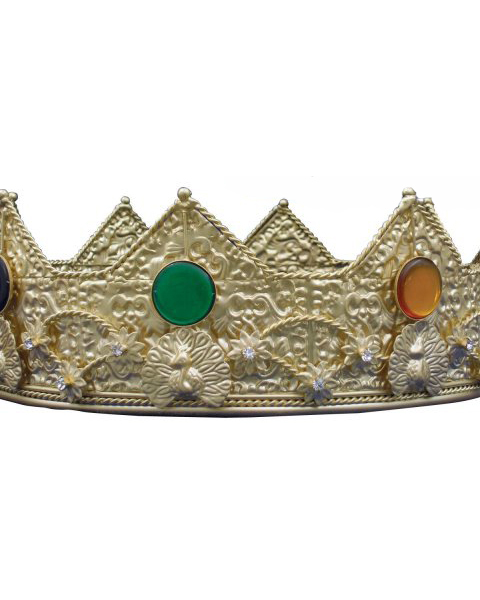 Gold crown . A substantial-looking one like this, without medieval gingerbread, is ideal. 5. 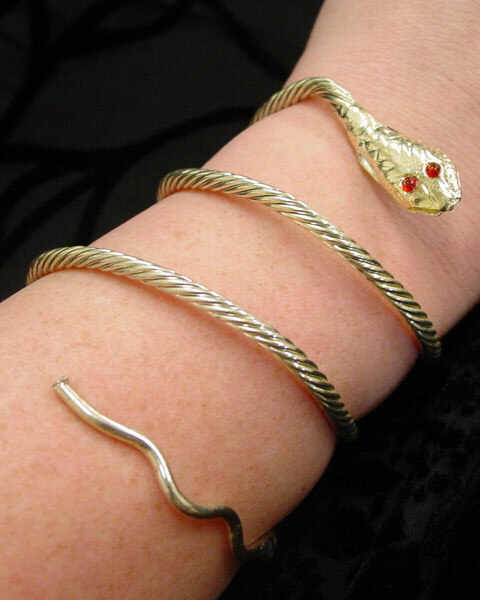 Gold snake armband. You can also pile on as much gold jewelry as you have: earrings, necklaces, rings. 6. 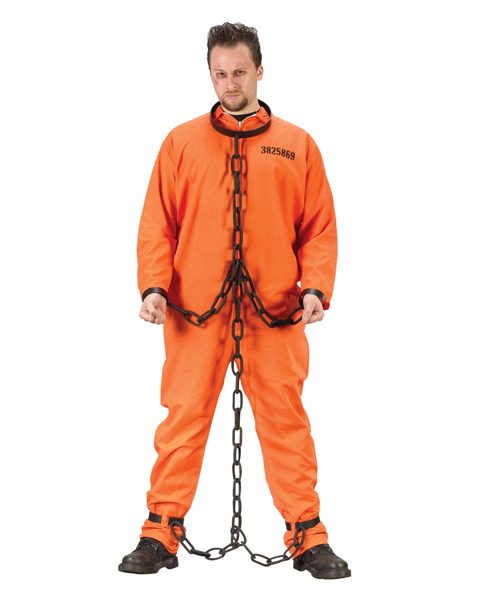 Prison chains. The all-important chains! Shoes: Simple leather sandals or boots. How to do the second tunic (the tapestry throw): You’re going to wrap this around your body and pin it on your shoulders, just as with the first tunic. However, the throw is much shorter than the sheet (it’s only 53″ x 70″), so you may not want to do an overfold. Just experiment to see how long you want it to hang down. Then use your scarf as a sash to swaddle around your waist and hips. The look will be very drapey with lots of rich fabric texture.